repair of AC / DC Motors and Generators, Pumps, Controls Drives and other Electrical Apparatus Equipment. We offer repairs, troubleshooting and rewind services. We’re the experts! 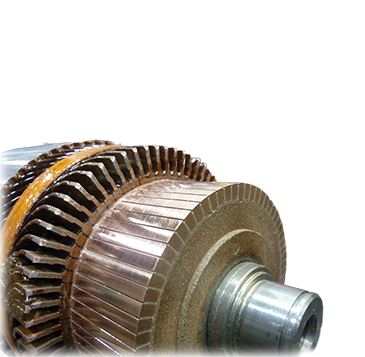 We provide repairs for all types of motors. We offer new sales or complete units and parts. Our sister company offers Hydraulic services. We offer quality and professional service. We offer various types of pumps and repairs. Stanford is recognized as specialists in the repair of AC / DC Motors and Generators, Pumps, Controls Drives and other Electrical Apparatus Equipment. We are committed to the quality standards of ISO-9001-2008, and are members of EASA (Electrical Apparatus Service Association). Our technicians and electricians are licensed and highly experienced professionals. We carry a 5 million Liability Insurance and are bonded for Dishonesty. receive training in Electrical Apparatus Equipment, Health & Safety, WHMIS, Fall Protection, and all have Police Clearance Certificates. We offer free pick up and delivery in the GTA & Surrounding Area. Founded in 1994, Stanford Electric has built itself up from a two man operation in to a major player in the Electrical Apparatus Industry.